Cobalt Neo-Therm heaters are very unique. They have a super thin profile that allows them to fit into tight spaces like on AIO compartments, or sump baffles. With its easy to set and easy to read control system, setting a heater has never been this easy. Safety Features - integrated thermal protection circuitry shuts the heater down before it can overheat. The outer casing is shatterproof making the NEO-therms virtually indestructible. Use for freshwater and saltwater aquariums and terrariums. Correct heater position- Vertical with heating element down, bezel, cord, and button up. Minimum water level - Top of the bezel. 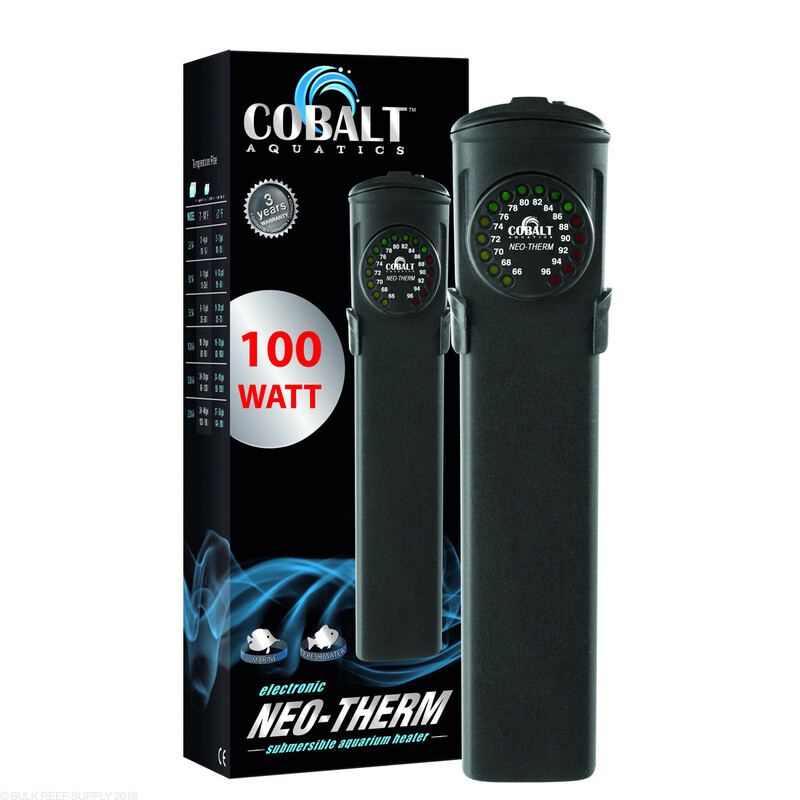 Note: 300W model consists of two connected heating elements that measure 10 7/8" x 2 1/8" x 4/5" each.